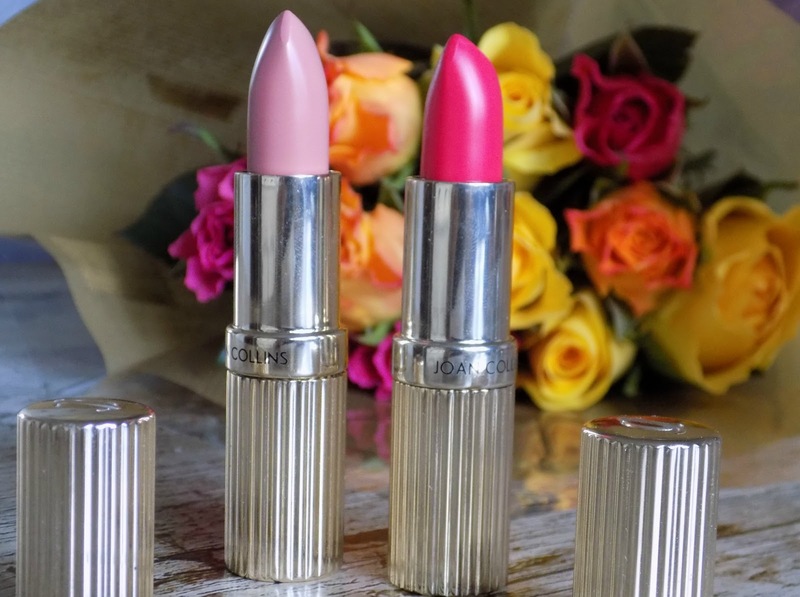 I am a sucker for a bit of luxe packaging when it comes to a lipstick, so when I got the opportunity to try these divine lips lipsticks*I grabbed it with both hands. I have tried the Joan Collins bath salts before which I loved, but never any of the makeup. 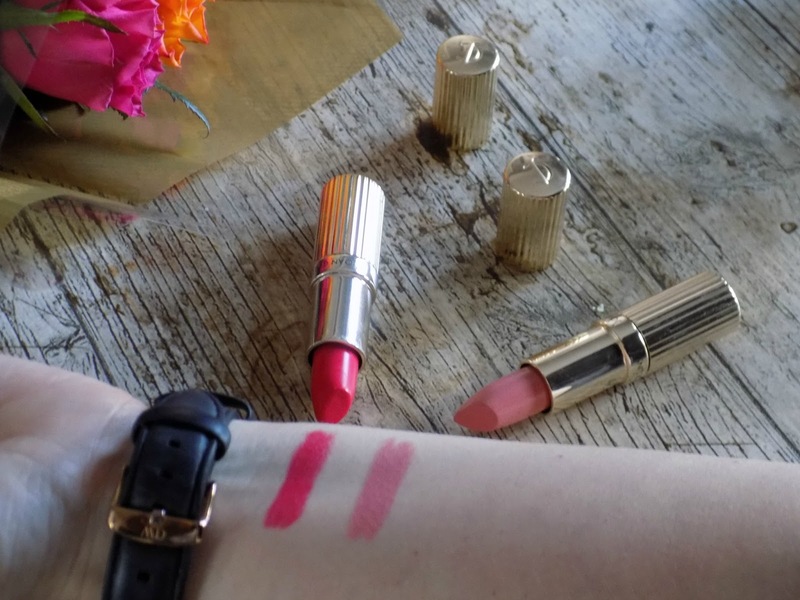 The two shades I road tested are Evelyn * a fresh coral shade, and Bella* a cool toned pink, both lipsticks have a lovely cream formula that feels so hydrating on the lips, in fact the brand claim to improve hydration levels after 30 days, this I cannot verify as I have not had them 30 days but I can confirm that they feel lovely on the lips. 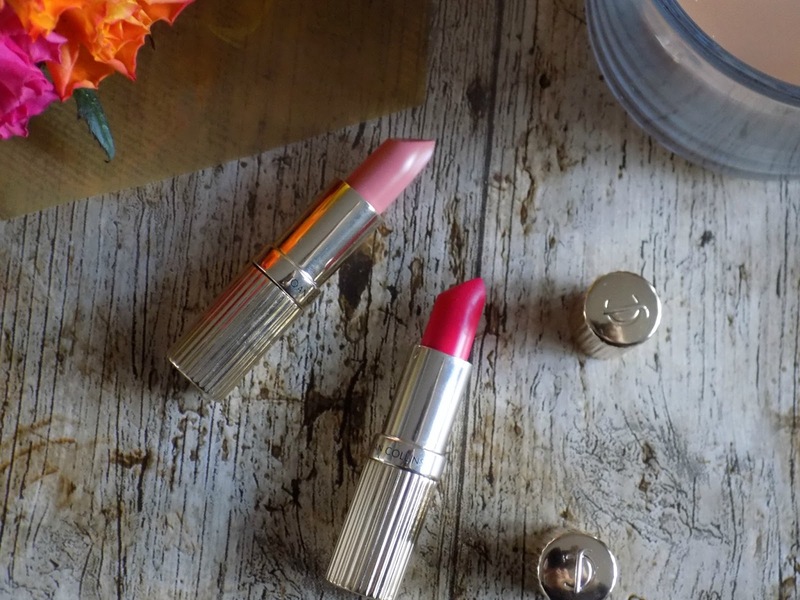 The staying power for a cream formula is actually pretty good, I wore Evelyn on an evening out, and it held up to drinks really well not leaving a print on the glass, and staying nicely on the lips, after eating it did need reapplying but I find most lippies do to be honest. I think Evelyn is my favourite of the two shades and I got several compliments on the night I wore it out, although it's not a shade I would normally pick, I actually really like it and think it will look even nicer in the Summer. 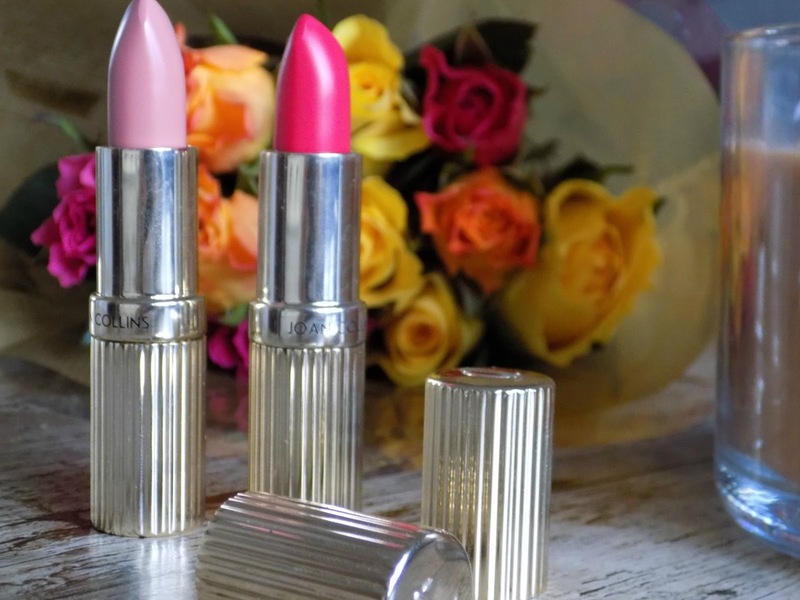 Overall I am really impressed with these lipsticks, I think they are amazing quality and the packaging is oh so photogenic! You can check out my review of the Joan Collins Bath salts here, if you fancy seeing what else the brand has to offer. The packaging is gorgeous, looks so elegant and expensive. And the shades are also pretty, I love pink shades for this season! I got Evelyn and Suzy Starr, and they're so beautiful. I love how buttery they are.